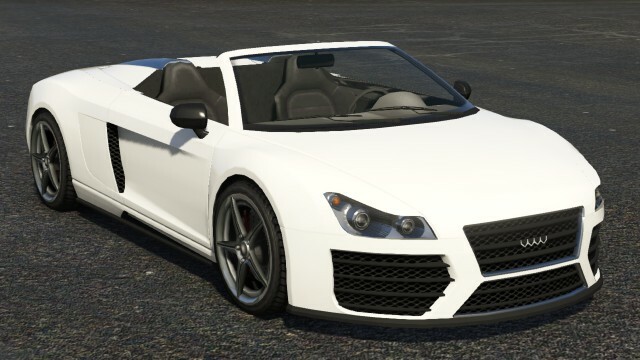 The Obey 9F Cabrio is a sports car featured in GTA 5. 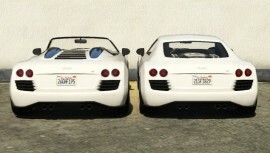 It is the convertible version of the Obey 9F coupe. 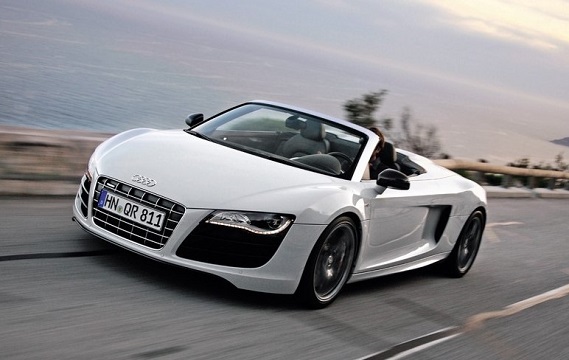 The 9F Cabrio is designed to resemble a Audi R8 Spyder. The headlights appear similar to those of a Maserati Ghibli, while the taillights appear to be from a Noble M600. The engine shafts appear somewhat similar to those of the Bugatti Veyron 16.4 and McLaren 12C Spider. The Obey 9F Cabrio appears to have very high performance, in terms of top speed and acceleration. One notable aspect of the car’s performance is that it has a soft suspension setup which can be visibly seen by the compression of the body into the ground when transitioning from a negative gradient to level ground. This sports car features large, cross-drilled brake rotors which are coupled to red six piston brake calipers, mounted at the rear of each wheel, this combined with an AWD layout provides good traction and stability, as well as responsive handling and braking. 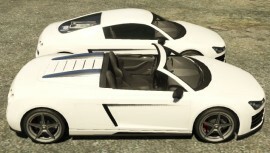 in GTA 5, a 9F Cabrio along with a Rapid GT Convertible, are the two cars Simeon Yetarian assigns Franklin Clinton and Lamar Davis to repossess in the mission Franklin and Lamar. 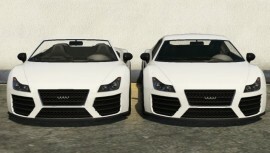 The 9F Is always white, and the Rapid GT is always red. 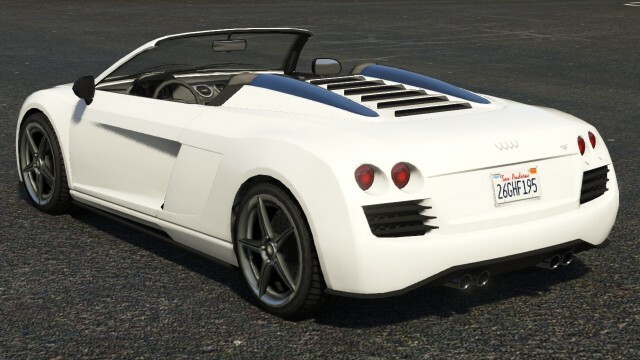 In GTA Online, a Obey 9F Cabrio is repossessed by the player from the Rockford Dorset Hotel for Simeon in the mission Rockford Roll. Commonly encountered in Rockford Hills and Vinewood Hills. Occasionally encountered parked on Hawick Avenue in Hawick.